Nano Research Elements is a leading manufacturer and supplier of elements nanoparticles with Ultra High Purity, uniform particle size and an enhanced surface area which results in superior nanoparticles activity and promising result in the end application. 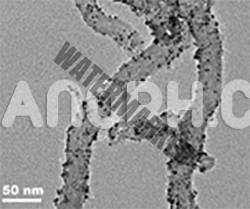 Nano Research Elements is an expert in custom synthesized Metal and Metal Oxide Nanoparticles coated CNT. CNTs decorated with metal nanoparticles (NPs) like Silver nanoparticles, Gold nanoparticles, Nickel nanoparticles, copper nanoparticles, Magnesium nanoparticles, palladium nanoparticles, platinum nanoparticles, exhibit outstanding chemical activity due to their large active surface area and unique crystallographic surface structure. 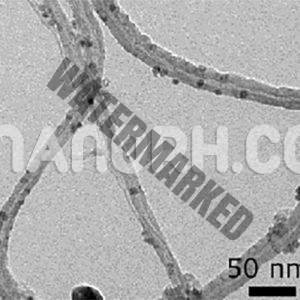 Carbon nanotubes can be decorated with indirect and direct physicochemical and physical methods mainly with noble and transition metals. The fabricated nanocomposites possess a series of advantageous applications in the fields of fuel cells, solar cells, catalysis, drug delivery, chemo/biosensors, and hydrogen storage. Premium Quality and precise process control are assured through the severe monitoring of source materials quality, precise calculation of reactants, manufacturing process and customized packaging. We guarantee our clients the premier quality products at the most reasonable prices.